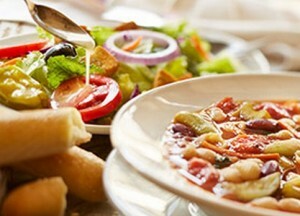 Olive Garden: $5.99 Unlimited Soup, Salad and Breadsticks for Lunch! 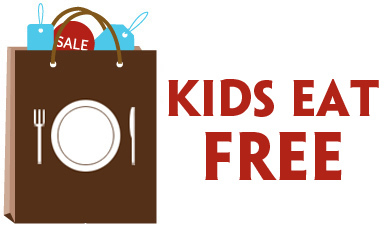 Enjoy a great lunch out without breaking the bank with this new offer at Olive Garden! You can enjoy unlimited soup, salad, and breadsticks at Olive Garden this week for $5 with this new coupon, which expires 8/21. Olive Garden: $5 Unlimited Soup, Salad and Breadsticks for Lunch! Enjoy a great lunch out without breaking the bank with this new offer at Olive Garden! You can enjoy unlimited soup, salad, and breadsticks at Olive Garden this week for $5 with this new coupon, which expires 5/01. Enjoy a great lunch out without breaking the bank with this new offer at Olive Garden! You can enjoy unlimited soup, salad, and breadsticks at Olive Garden this week for $5 with this new coupon, which expires. 3/6. 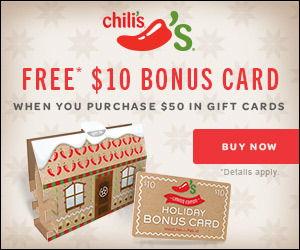 Get a $10 Bonus Gift Card with your $50 Gift Card purchase at Chili’s this holiday season. 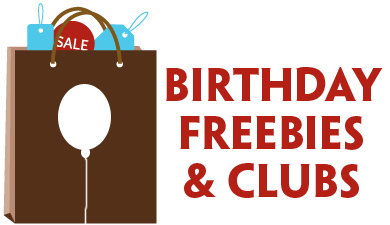 You can have your gift card(s) mailed directly to the recipient, to yourself, or choose to send an e-gift card too.